The biggest bang for your buck. That’s what Asphalt Shingles on a roof can provide to you, the homeowner. It’s not the most durable material. Durability and longevity belong to metal roofing and natural slate. For the value, though, Asphalt Shingles are hard to beat, especially when viewed through the prism of their low upfront cost and high near-term home improvement ROI. Did you know? An asphalt shingle roof, such as 30-year architectural shingles, can often be installed for under $10,000 on a small or mid-sized single family house in the US. For a relatively modest upfront cost, you can expect to get at least 10 to 15 years of roof protection or longer, depending on the type of shingle you choose. Pro Tip: Generally speaking, you will get a much better ROI and longer service lifespan by installing architectural shingles as opposed to 3-tab. That being said, on a per sq. ft. basis, you can expect to pay anywhere from $3.00 to $5.50 to install architectural shingles on a typical single-family home in the US. Coastal and metropolitan areas will cost more than roofs in rural areas. States like South Carolina, parts of Georgia, Louisiana, Oklahoma, and Kansas will have lower costs than New England, Mid-Atlantic, and West Coast States. As you can see roof pricing is highly regional, because labor costs are insurance costs vary a lot in different parts of the country. Note: Larger remodeling companies and general contractors will charge up to 30% more to install a new roof than a smaller roofing company. Reason being is that larger companies have some serious overhead costs that get priced into their roofing services. For a long time, slate tiles were the cream of the crop when it came to roofing a house or building. In the early 20th century, that changed. America went from using slate and cedar (wood) shakes and shingles as predominant materials for covering their homes, to what was at the time the newly unveiled asphalt shingles. The reason for this was two-fold; The new asphalt shingle was made to look very similar to the slate tile, but at a much more affordable cost. Like all things mass production, it allowed millions of homeowners to enjoy decent roof quality without the need to spend a whole lot of money on a roof. Yet, like many things associated with mass production and usage, it lead to a significant, and ongoing issue with the disposal of old asphalt shingles. Back in the day, it used to be that asphalt roofing was rolled onto roofs. Cloth-like paper, with layer of asphalt, coated with stone granules. In the early 1900’s, the rolls were sliced into individual pieces. Strip shingles, or what we call 3-tab today, used to be the standard for nearly half a century. They offer a single layer, uniform look for the roof. They are light-weight even in today’s market. But, they are considered cheap and less durable than the next step up, or what we call architectural shingles. 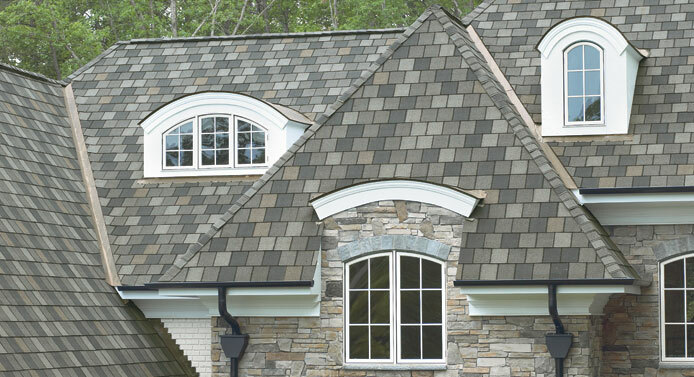 Architectural Shingles are thicker, heavier and offer far more variety than their predecessor. 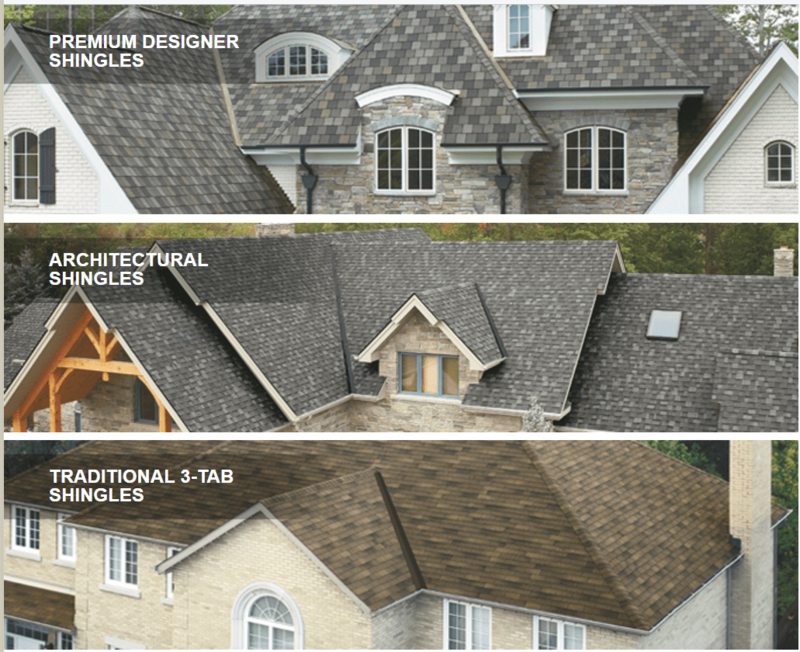 With 50% more weight than a 3-tab shingle, architectural shingles come at a higher cost. Though, the cost is easily justifiable with more durability, longer service lifespan and the idea that shapes of shingles can be different. Architectural shingles are also known as laminated or dimensional shingles, because there is an appearance of more depth to the roof than what 3-tab/strip shingles provide. Many routinely refer to architectural as the premium product, but they are really middle of the road product. 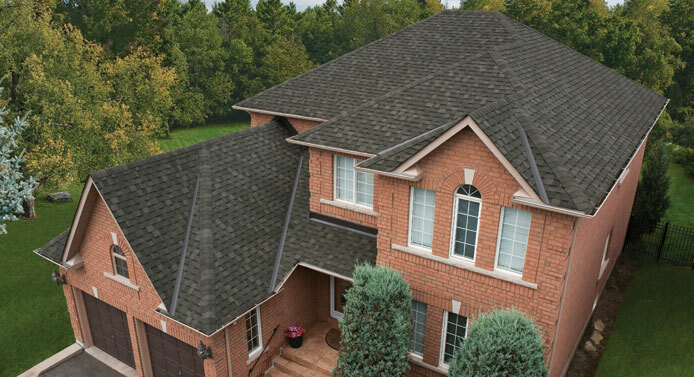 Premium shingles can offer even more depth and variation. 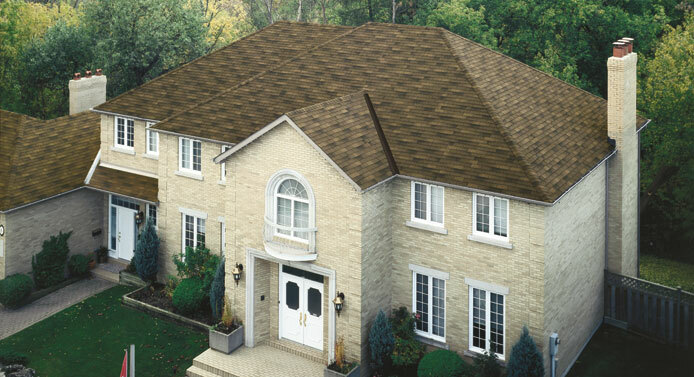 These are luxury shingles are known for their totally different look. 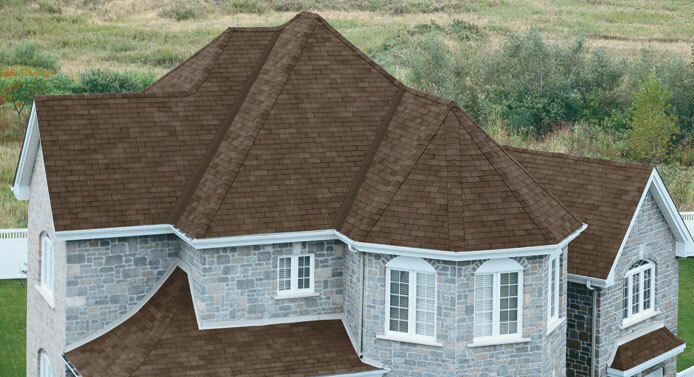 Truly premium shingles are designed to be as durable and long lasting as possible. Here, multi-colored options exist, along with cool-roof asphalt shingles, and other cutting edge technological advancements. 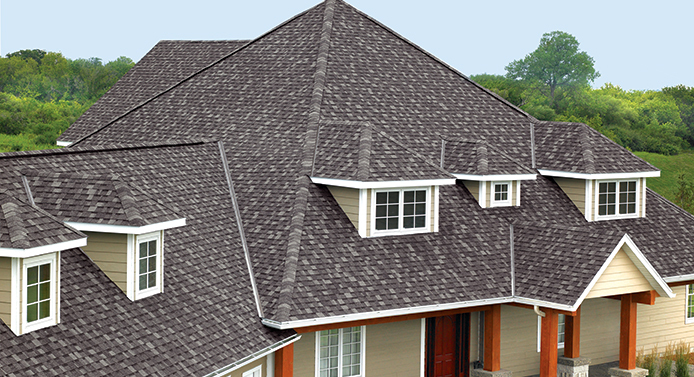 To be clear, the architectural shingles are the predominant product in the asphalt shingle market today. The other two options are also being sold, and are quite popular in their own right. 3-tab makes for a great starter row on any type of asphalt shingle roof. Plus 3-tab is sufficient wherever economical considerations may outweigh quality, such as on some low-priority commercial buildings and value residential roofs. Premium shingles are deemed by many as too luxurious, but there are people willing to pay nearly twice the cost for a better designed, longer lasting roof, which the luxury shingles provide. Another consideration which each of the three options has to do with how the product can perform during storm weather and strong wind uplift. For more visuals and info on the three variations of Asphalt Shingles, see this page from the IKO Roofing Manufacturer’s website. Owens Corning and GAF make their products available at mega home improvement stores like Home Depot and Lowe’s. CertainTeed and other manufacturers normally offer their products through the local building supply stores aka suppliers, which generally means that their products are available for sale to contractors only. Is Asphalt Shingle a Viable DIY Option? While installation of Asphalt Shingles is certainly a product that a DIY’er can handle, it’s still wise to consider going with a professional contractor. Roofers, normally have an established relationship with building material suppliers, meaning they can buy roofing materials including shingles at a discount. Plus they can do the job much faster, handle all the waste, overcome problems during the installation much quicker, and offer warranties. With that said, the price of just the roofing material is often conveyed in terms of bundles. A bundle typically amounts to about 33.3 sq.ft. As that is an odd number to keep track of, roofers usually go with a “square.” A square equals 100 sq. ft, so 3 bundles per square for 3-tab shingles, 4 bundles per square for architectural shingles, and four or five bundles per square for premium shingles. A roofing surface covering 2,000 sq. ft., would be 20 squares. Then there are the accessories like fasteners/nails, underlayment, ridge cap, ventilation, flashing, drip edge, and possibly more. These aren’t terribly expensive, but if sticking with a 3-tab shingle, then the price is closer to $125 to $150 per square for all the materials required for the job. So, a 20 square (2,000 sq. ft.) roof would cost $2,500 to $3,000 for the materials, not including plywood or wood boards. That’s relatively low compared to most other roofing materials, and well under the $10,000 number we started with. But, that’s without the cost and the hassle of pulling the building permit, performing the tear-off, having the benefit of general liability or worker’s comp insurance. Essentially, this the bare-bone cost to expect should you decide to go the DIY route. When it comes to any roofing job, there are a few things that need to be determined before any material is bought, and a pro will have these down to standard operating procedure. Items like: pitch (or slope) of the roof matter in terms of how efficient the overall job will be and how much area of the roof needs to be covered. Is a tear-off of the previous roof needed? Usually, it is not, unless there are already two or more layers of shingles. If the tear off is needed, that will likely be an added cost of about $100 to $150 per square to remove and dispose of the old roof. What is sufficient amount of material to get? Assuming a 5% to 10% material waste is normal for most projects, but that percentage could be higher on a more cut-up roof. Material costs aside, it can be challenging to quote costs for roofers, without seeing the actual job first. The costs can vary greatly by location and job difficulty. That being said, a typical 2000 sq. ft. architectural shingles roof replacement, will normally cost between $3.50 and $5.50 per sq. ft. or $350.00 to $550.00 per square installed, or $7,000 to $11,000 overall. The latter number is over the $10,000 figure, but a more competitive pricing would likely be closer to the $7,000 – $10,000 range. The above figures assume all the permitting and planning expenses, materials, labor, and a typical 5-year workmanship warranty. Though some contractors will think they are doing you a service with a 6 month or a full year warranty. We’d suggest you strongly consider a 5 year or longer labor warranty as the standard. If a contractor is offering you a low overall cost (say $6,000 total on our earlier numbers) with 1 year warranty, then they may not necessarily be providing you a fair deal. Most roofing products will last a minimum of 10 years, and that’s being very conservative, if properly installed, which is what pros do. 15 to 20 years is a more fair minimum for a 3-tab shingles roof. Architectural shingles are supposed to last 30+ years when properly installed. Some manufacturers boast as high as 50 years material warranties, yet our research shows that to be mostly a gimmick. Finally, it is the return on investment or ROI you get from a roof. A new roof does not have the highest ROI in terms of home improvement, whereas a kitchen renovation or an additional bathroom scores higher. But where’s the curb appeal in those projects? Where’s the long lasting, low maintenance value in those options? Both of these interior remodeling projects are going to cost well more than $10,000. For the biggest bang for your buck, a new roof is arguably offering the best ROI. You can generally translate around 70% of the cost (what you spent) into the added value of the home, assuming the roof is in very good condition or better. Hello Josh, I was wondering how we may get in touch with you? Thank you.